In memory of Colleen Davey aka DamaCaillin . It’s when something bad happens that your true belief system is called into question. Do you react in a way that’s not consistent with what you preach or do you take comfort in what you understand and know. This is true, especially when a friend or a loved one dies. You are thrown back on what you truly believe about death and the afterlife. For me, I don’t believe death exists, but it’s a transition to another state where you continue to be fully aware and conscious (assuming you understand what is happening to you) and you continue on. I also don’t believe it’s random. However, when it does happen, it can be unexpected, and come as a great shock to you and those who knew the departed. If you’re an Empath, you will pick up on the grief of those around you, and that can be overwhelming and horrible to feel. I bring this up because this week, a dear friend of mine passed away. 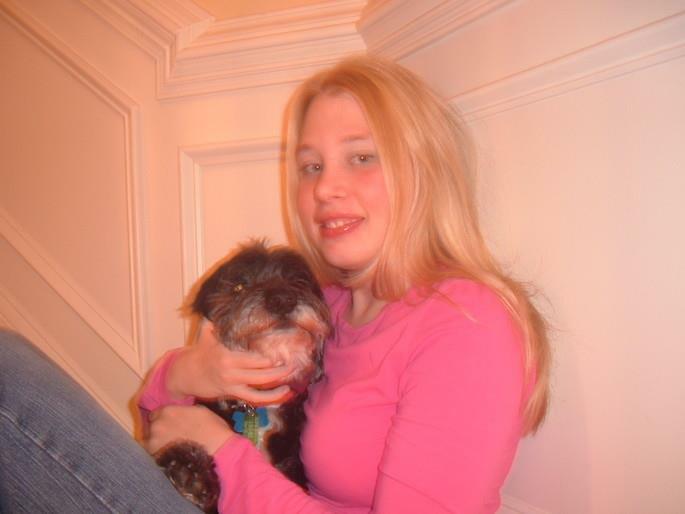 Her name was Colleen Davey, and she was a member of my blog and a mod in my chatroom. She died from complications from heart surgery. She was in her mid 20s. She was a gentle and honest person, and very loyal. She cared about people and was always planning to bring joy to the world and make it a better place for everyone. She spoke about her plans for this a lot. She was also someone I considered a part of my soul family. She had clear past life memories of us and other soul family members. She would discuss these with me in great detail. Sometimes I would get up to 100 e-mails a day from her, and she would e-mail me most days. She knew who I was before I had worked it out. She reminded me of many things that had the ring of truth to it. And her information was later verified, independently, by several others who had never even met her. She struggled greatly with her past lives, and who she was, and how she always felt she wasn’t important. But she was important. I told her that. In spite of how some had treated her, she was the compassion and love that people needed. My soul family is insane. They would have to be to do what they did, but there were always some trying to hold us all together. Colleen was one of them. She did appear to me in my dream the night after she passed away. It was clear and vivid. She looked good and she looked happy. Yes, on this level, I am grief stricken, even though I do know full well she’s simply moved to a higher level. It’s the tangible loss I feel. And if I should connect to those who knew her, I feel the devastation and absolute grief. It’s overwhelming and I feel impotent because I can’t do anything to help them. They don’t even know who I am. I asked my guides, who she was also familiar with, why she left. They told me her task was done and she was ready to go. I said they didn’t seem very upset about it. They responded with: Why would they? She was with them now, and they were all waiting for me to finish my work so I could leave, too, and they could all go home. But they said I still had a lot of work to do. Today is Thanksgiving in America. I wish you a joyful day to all my American friends, and there are many. I am also thankful to have known you, Colleen, even if it was for a few short years. You filled in many of the gaps in my knowledge and know that I cared for you very greatly. My prayers, love, healing and thoughts go out to her friends and family. Know she is fine and we are left behind to carry on. 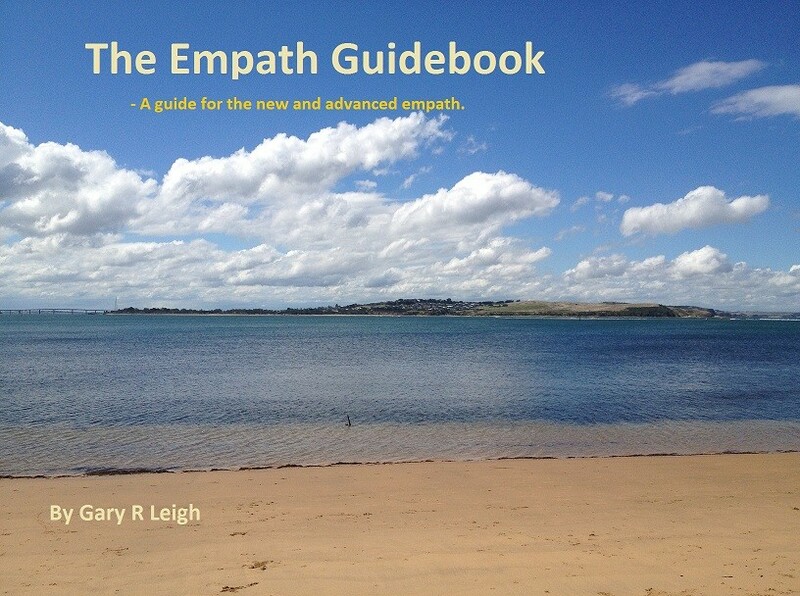 Empath Guidebook – Now fully edited. 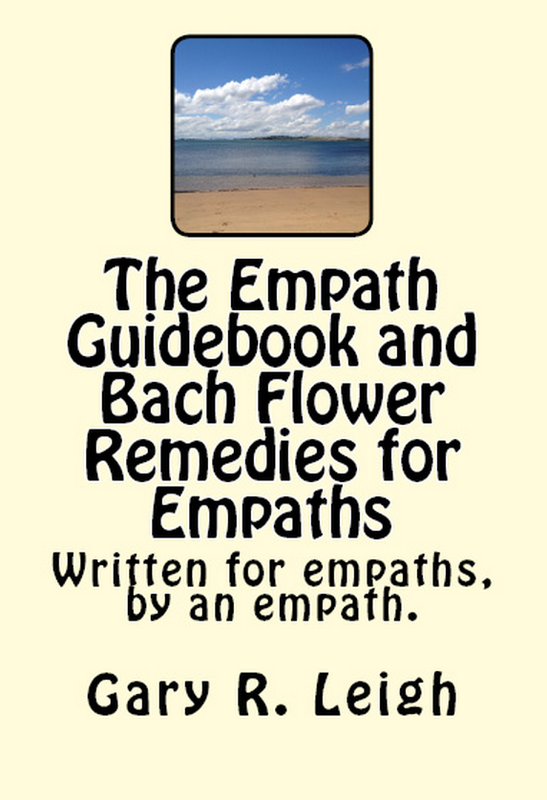 The Empath Guidebook (my free e-book) has been fully edited by the amazing Julianne Victoria. My heartfelt thanks for doing what is a tedious and meticulous job. I’m sure those who read the edit version will certainly thank you, too! It’s rare to find someone so selflessly giving of their abilities and time. I really do recommend visiting her sites (all listed below). There is a lot to this lady and she has a lot to share. Thank you for the gift you have given to the Empath Community. This guidebook is ever evolving, so from time to time, there should be some major updates. Watch this space. I’ve covered this subject before, but there are people, who from time to time, find this article and have told me they’ve found it useful. I thought I’d post what I’ve previously written here for those who have not read it yet. This is a channeled conversation with the answers indented in italics. This channel continues on directly from the previous entry. This I know, though I’m working to keep this useful for empaths in general. It is an example. For many, death is often a catalyst for growth and awareness. They move into things that they were unlikely to do before. There is also a belief that we must feel sad for the departed, otherwise we are a bad or uncaring person. If we do not mourn, or do not go through a certain period of time of grieving, then we may feel guilt over it. Guilt is often a reason why we hang onto grief. We ask ourselves: how much did we really love this person if we can just move on without any sense of loss or pain. How will others view us if we are seen to ‘not care’? How do we see ourselves if we find that we don’t wish to suffer for the loss of another? Yet, make no mistake; the departed does not need you to grieve for them. Once they reach the light, they are in bliss, and more often than not, the concerns of this world are left behind. That does not mean they are forgotten, and when you call on your loved ones, they will come and leave many messages in many ways that they are there. Some even will manifest themselves so they can show the ones left behind that they are just fine, and they will look just beautiful. They are fine. They are more than fine. They are home. To those who have lost one dear to them, I promise you that you will see them again. You will be reunited, and if you both so choose, you will live more lives together for as long as you desire. It’s one thing to know this on an intellectual level, but how do you translate this to the emotional level? How do you bring comfort to those who have lost their loved ones? Saying that they aren’t really gone doesn’t seem to be all that useful. As I said, it is natural to feel grief for the loss of someone dear. There is also a fear that your life may never be the same, and that you cannot cope without them. They may have been tremendous support, or loved you unconditionally, or they may have been the breadwinner. Fear is one of those emotions that is intertwined with the sense of loss. Fear for the future, fear that they won’t be able to cope alone or be capable of carrying on looking after family or children. Death is not about the ones who have passed over, but those who are left behind. So, how does the empath cope with death? The key is shifting your understanding and perspective of death. Do not look upon it as something that should not have happened. If it was not meant to occur, then it would not have occurred. This does not mean you suddenly dismiss the pain, nor do you suddenly decide that it is irrelevant. It simply means that you are seeing things in a more holistic manner. Those who you truly love will never truly leave you. They are there. They are by your side when you call, and they are helping you. You may not always feel them, but they are there. The shift in understanding and perspective is key to coping with the sense of loss. Do not harbour feelings of guilt of another’s death. Do not feel that your own life is ending because someone has departed. Do not fear that you cannot cope. You will always have what you need to make it through, and indeed thrive. Life is about the growth and experience of the soul, and such things can be powerful catalysts. For my own comments, I’ve found that Bach Flower Remedies can be very comforting at a time like this. Star of Bethlehem to help with the shock of a loved one’s death. Sweet Chestnut to help move from a place where you can’t accept someone is gone. Willow if you are feeling like a victim. Pine if you carry any guilt. Holly for the anger you may feel. Tell me about the empath and death. You mean how the empath views death and how they are affected by it? When we are talking about death, it should be made clear that death is a transition from one state to another. Death does not mean you cease to exist. What makes death so traumatic is the perception and illusion that those you love ceases to exist. What is left behind is a shell that once was animated by a soul. The body is no longer animated with the essence of that life. For the empath, this will be traumatic on several levels. If they were close to the departed soul, they will feel their energies still mixed in with departed one(s), and the shifting and breaking of energies will be extremely traumatic. This is the pain many loved ones feel when they are suddenly and often unexpectedly separated from their partner. Also, they face a change in reality, which they are not prepared for. Their world is no longer balanced, nor is it making any sense. As much as they wish it to make sense, it won’t, at least not right away. Another level is the guilt that they often experience when someone departs. Even though there is nothing they could have done, many empaths feel responsible for when someone dies. How could they have stopped it? Should they have seen warning signs or had a feeling that something bad was about to go down? This is especially true when suicide is involved, or if someone had a fatal accident. The ‘what if’s’, and ‘why didn’t I?’, and ‘if only I had’ thoughts come up and torment the mind and soul. Then there is the pain of other people. For an empath, this is just as devastating as they are not only coping with their own pain and grief, but also from those around them. This is also true for those who did not know the deceased. Going to a funeral for an empath can be quite traumatic as they can be bombarded with many feelings of loss and sorrow. The reason why death is so hard in our current society is because we have it all tossed around, and the perspectives and understanding are often incorrect. Death, as many know, and many more begin to know, does not exist. Nor do things such as accidents or untimely deaths truly exist. The soul is never in the wrong place at the wrong time. It is never unaware of what is occurring from its astral levels. The biggest question people face is ‘why’? Why did they leave me? Why did this have to happen? That’s a reasonable question. I’m sure many have asked that and seen no rhyme or reason in many deaths. I know I’m left scratching my head about one or two. That is because you do not know what was intended on a soul level, nor how one’s passing will affect those left behind. There is a much bigger picture involved here. The very act of someone passing can spark events and changes that may not have happened otherwise or even prevent undesirable ones from occurring. The people who are meant to be in your life, are in your life, and that is not by random chance. Whether they touch a life for a moment or a lifetime will depend on what is needed and agreed to. Does that make the loss of a loved one any less painful? No, it doesn’t It takes a very high level of connection and psychic awareness for one not to feel that loss, and indeed, see it as an opportunity. If you look back on the deaths you have had in your life, you’ll see how vital they were to your own growth and your own path. Next: Part 2 – The why. 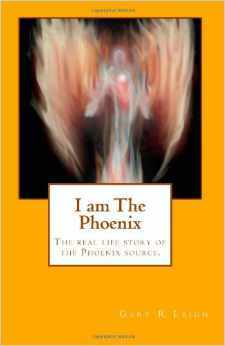 Paranormal experiences series: I regret I’ve only one life to give… or do I.
There’s this incident that happened back in the year 2000 that left a profound mark on me. It was from a stroke, and I did not survive it. You’re probably thinking, man, if you’re dead, you’re certainly pretty active. But obviously, I am not dead. I am very much still alive. Now, before you hit delete, let me explain how it happened. The first half of the year 2000 was a traumatic and stressful time. Events were happenings, and I wasn’t handling them too well. Great stresses were on me in my personal and work life, and I had just completed one of the major goals that I had come here to do, which had taken its toll on me, too. Omens of death were everywhere for me. It was on my mind all the time, I sensed things were nearing their end, and my then wife kept on getting signs of husbands dying, which she remarked on. Then one week, around July, she fell into a deep depression and entered a state of grieving which I found both disturbing and confusing. I wondered if I had done something wrong, and my step daughter sometimes acted as though I wasn’t there any more. After a week or so of this, my wife sat me down and said that she had worked out what was going on. Her reactions were as though I had already died and she was going through the stages of loss and grieving. She said that whatever was going to happen, it was going to happen the next day, and we could ignore it, or we could sit down and work out what we could do about it. So we sat down, tapped into what was going on, and it appeared that saw me dying the next day. As this wasn’t the weirdest thing that ever happened to me, I took the warning seriously, and instead of going out as I had planned that day, I cancelled my plans and stayed home. I wasn’t sure what difference that would make, but I clearly did not die. The evening was weird, though. My then wife was in a very strange frame of mind, and kept on muttering on how she had put so much effort into this marriage, and now it was all for nothing. The mood passed the next day, and she later claimed that she did not recall having said anything like that. As it was, things changed after that. I went into a state of shock and depression that took me two years to come out of, and my marriage started to fall apart as our connection seemed to fade till eventually we decided it was best to separate. Timing wise, it was the right choice. However, for many years after, an image of a music store I used to frequent (called JB Hi Fi in Camberwell, Victoria) would come to my mind. I had no clue why, though. I had been there hundreds of times over the years, but now, this one moment in time was sticking in my mind, and I wasn’t even sure if that moment even happened. It was then, soon after , my guide gave me an insight into what that was all about and it felt right.